Wheelchair access to site possible, but may be by an alternative entrance. The Extension is on the South side of the Communal Cemetery. 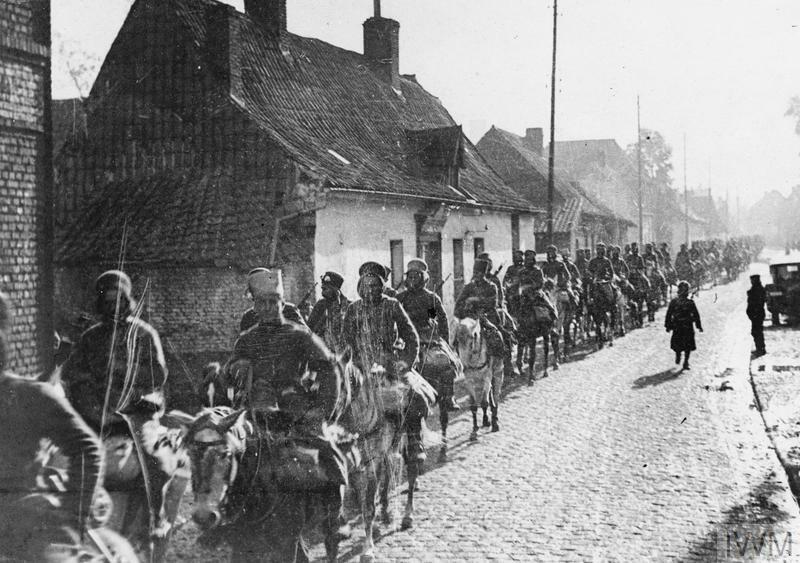 It was begun in April, 1916 and used continuously (chiefly by Field Ambulances) until October 1918. 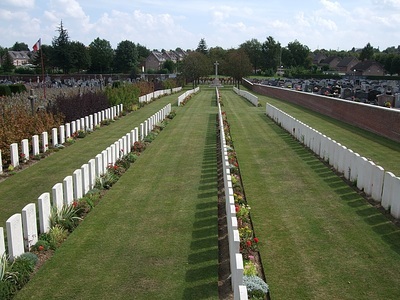 Of the Chinese labourers, seven were reburied in this cemetery after the Armistice from the following cemetery:- PETIT-CUINCY GERMAN CEMETERY, which was near the South side of the road from Cuincy to Esquerchin, in the commune of Cuincy. 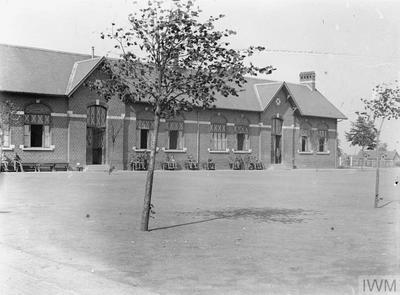 It contained, besides German graves, those of a small number of British soldiers, who were reburied after the Armistice in Douai British Cemetery. There are now nearly 500, 1914-18 war casualties commemorated in this site. The Cemetery Extension covers an area of 2,134 square metres and is enclosed by a brick wall. 24th January 1917, aged 24. Frank enlisted with the 11th Canadian Mounted Rifles, 22nd March 1915 in Vancouver as a private. His family was living in Kelowna and he listed his occupation as a Teamster. He was killed in action in the trenches northwest of Angres on 24 January 1917 and is buried in the Fosse 10 Communal Cemetery near Noeux-les-Mines. At the time he was part of the 7th Battalion, No. 116280, HQ file 649-M-12937. 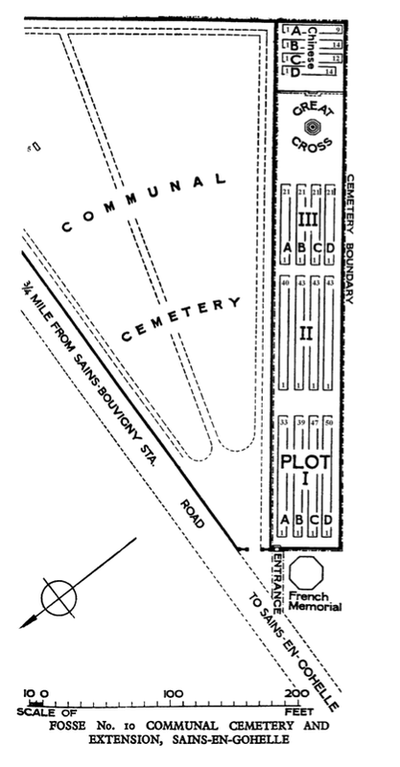 The cemetery location sheet is 44b.R.2..c.25.35. Frank was born in Lowell, Massachusetts during the time that his father was working there as a blacksmith, although the family was originally from the Ottawa valley area in Canada. The family moved to western Canada where they farmed. There are several letters home that are poignant reminders of the affection held for his brothers and sisters and his father. Frank's mother had predeceased him. My grandmother was 20 years old at the time of his death and felt the death of her older brother keenly. A miner from Landsborough, Victoria, Spr. Plunkett enlisted on 2 December 1915, age 33, and embarked aboard HMAT Ulysses (A38) from Sydney on 20 February 1916. Spr. 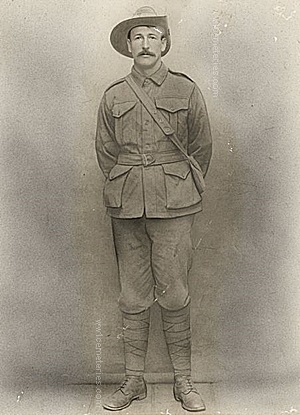 Plunkett died from gas poisoning in France on 30 April, 1917. His brother, 4277 Private James Plunkett, was reported missing and killed in action on 16 April 1916. He has no known grave and is commemorated on the Villers-Bretonneux Memorial. 26th June 1917, aged 33. 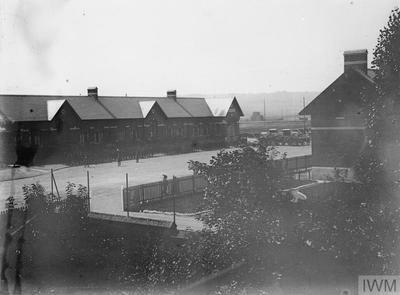 Son of Robert Henry and Alice Olivia Richardson, of 1, Blenheim Park Rd., South Croydon, Surrey.